These are our new items. Please contact us at (305) 351-6006 for pricing on renting these units. 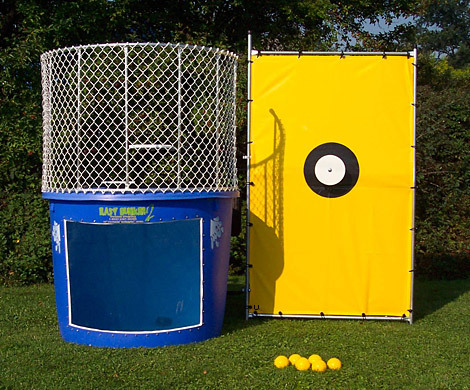 Who can't resist to toss a baseball at the Dunk Tank!!!! This is sure to be a hit at your next event. Just think of dunking your fellow workers, your boss, your principals, neighbors, friends, football players, anyone at all. This unit can be set up in minutes and all we require is water and a hose. It takes approximately 450 gallons of water and 45 minutes to fill.